Your real estate website is an important aspect of your online presence, marketing, and branding strategy. Is your site saying enough about you and your brand? Your website is the first introduction many people will have of you and your business. Is your website sending a good first impression? Your website might be turning potential clients away and you might not even know it. Thousands of dollars gone before you even get a chance to introduce yourself in person. The main and consistent issue we see when we’re building new sites, or revamping old sites, for our customers is the utter lack of information on the agent themselves. 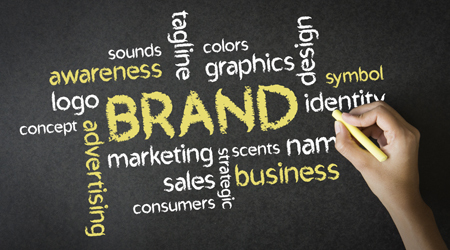 People have no idea what your brand is! People are turning more and more to the internet first to research homes, agents, etc. In fact, between 2009 and 2013, real estate-related Google searches increased by 253%. Even if a consumer learns of an agent or home listing somewhere other than the internet, the consumer will still gather more information through their digital tools. You are your brand, the more you educate potential clients on yourself the more they will know your brand. And, knowledge is trust. So, take your time to really flesh out as much information you can about yourself. What are your areas? How many certifications do you have? Have you won any awards or made an impressive amount of sales? These are all solid questions you should answer in your bio section of your site. But remember: people want to connect and relate to you so humanize your brand too. Include information about your home and family life (how many years you’ve been married, how many kids or pets you have, where you live). Other great aspects to include are your hobbies and charities you work with or donate to. There’s a reason LinkedIn has these sections too. Many people have the same degree, certifications, and work in the same area as you, that’s not what people are going to remember, or be impressed by. Your potential client is going to remember you (and want to work with you) because you play senior softball just like them and donate your time every week to the local children’s hospital in their area. Make sure to include any social media information so that clients can connect with you on multiple platforms; as well as, customer testimonials. The more transparent and open you are, the more clients will feel like they already know you. It’s important to have as much information as possible, but how you present this information is a critical factor as well. On a fundamental level, if you do not have an attractive or easy to navigate website, people are going to quickly move on to someone else. So make sure your site is well designed. Humans are visual creatures by nature and a bunch of words on a white page is not particularly interesting to us. Include pictures of you doing your hobby or working for your favorite charity. Even better than pictures and words is video. More and more, people are finding and learning about agents through YouTube, of all places. In fact, finding an agent (and other agent related searches) on YouTube grew 46% year-over-year. You can have a link to YouTube, but even better is to have the video directly on your site. Having the video on your site will keep people from straying and more interested in you, and not one of your competitors. A word to the wise on your agent video: a video says a lot about your brand – good and bad. Take the time and the money to hire a professional to shoot and edit the video, get your hair and makeup done, pick flattering clothes, and know what you are going to say on camera. A bad video will get a lot of laughs but not a lot of clients. Your consumers are no longer passive sponges to information; they are actively seeking out information so that they can make educated and sound decisions. The more you educate them on you and your brand, the more likely potential clients will trust and like you, and want to work with you. If you need help branding on your site, or building a site that can brand for you, check out our full custom and semi-custom websites. They allow for targeted market pages, are fully indexable with listings and alerts on Google, and can showcase your brand beautifully.